Anyone else already struggling to maintain the momentum to eat and live healthier in 2013? Too. Many. Football. Playoff. Parties. Unless I find help quickly, next year I’m going to need someone to remind me to never make fitness resolutions ever again. Fortunately, there are a couple of fitness apps that have arrived in time to prevent our workout routines from disappearing. PumpUp is a new fitness app designed to help us create customized workout routines that will actually work for us. Start defeating the lazy urges by entering in fitness goals, current fitness levels (is post-holiday heavy an official condition? ), and preferred exercise equipment – and PumpUp puts together a manageable plan. Animated exercises and a mascot, PumpUp Pat, lead users through assigned repetitions with timed breaks. The app keeps track of session results and adapts the next workout accordingly, so goals remain both visible and realistic. 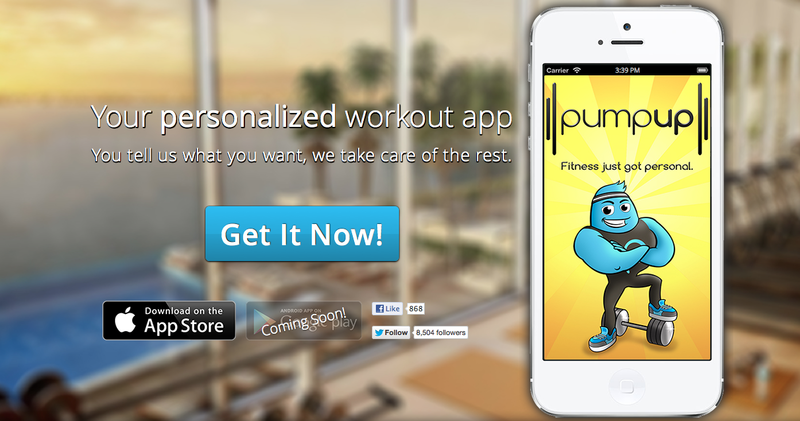 Find PumpUp in the App Store and expect the Android version to become available soon. This startup flexes its muscles in Waterloo, Ontario. Co-founders Phil Jacobson and Garrett Gottlieb share a love for software solutions and tech that encourages healthy living. You might find them at an incubator program like Velo City Garage, which they just completed – or evangelizing cardio fitness in a dance-off or Nerf gun battle. PumpUp helps turn good intentions into an actionable training program. Tone those muscles. The Fitsby application supplies motivation by turning trips to the gym into social competitions. We’ll call them friendly competitions, even though most of us hate losing to our friends. 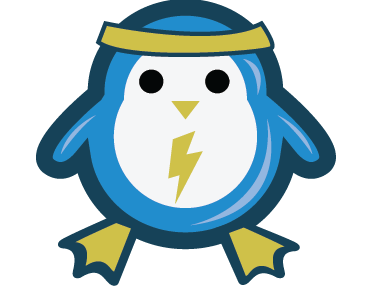 Accumulate gym time, checking in for a minimum 45min workout (logged using geolocation). Individuals who clock in the most gym time among registered friends win weekly cash prizes. Staying fit: great. Winning a competition: satisfying. Bragging rights: priceless. Somehow our own health is never quite enough incentive to help us switch gears from work to workout. There are too many damn YouTube videos letting us unwind. We need help building an appetite for exercise that rivals our love for sedentary diversions. Proof that besting our friends gives us the nudge we need to break a sweat? Founder Daniel Gaeta first envisioned his startup as a social fitness network, but discovered that getting along didn’t excite people. The competition-driven product proved more interesting to early users.